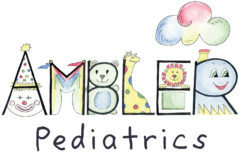 Ambler Pediatrics is affiliated with the Children’s Hospital of Philadelphia and Abington Memorial Hospital. We admit patients to other Pediatric Hospitals, such as St. Christopher’s Hospital for Children or the Dupont Medical Center, when requested by parents or for special services. Ambler Pediatrics currently participates with all known insurance carriers operating in our area, more than 550 insurance companies.